Fully Drainable Water Cartage Tanks NOW on sale – Australian Made, 20 Year Tank Warranty! Looking for a quality liquid storage tank with 20 Year Warranty? 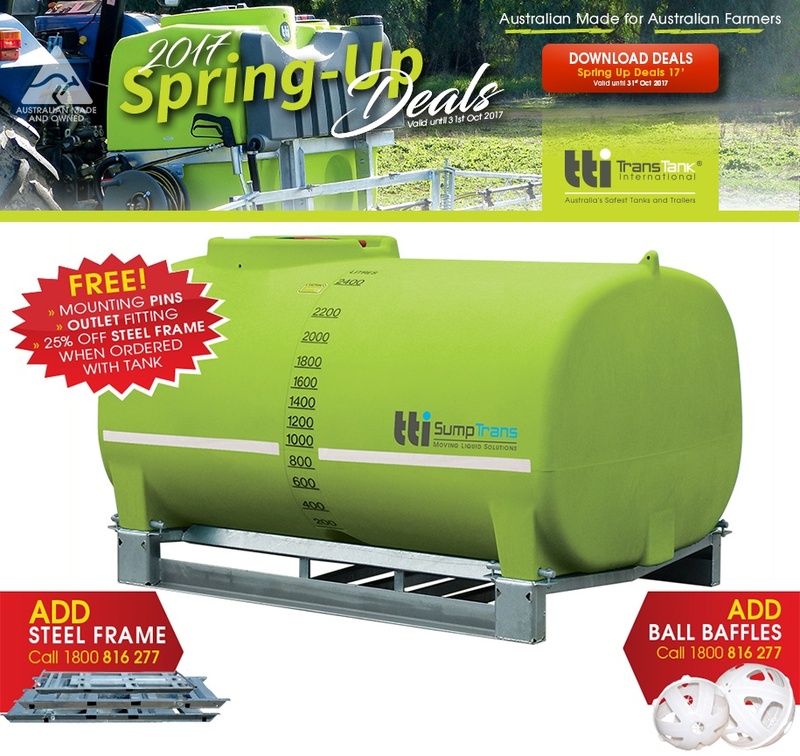 TTi’s Spring Deals are offering huge deals SumpTrans Tanks! Valid until October 31, 2017! TTi’s SumpTrans Tanks are heavy-duty, fully-drainable tanks with a steel mounting frame. Designed and manufactured in Australia, these tanks are ideal for storage of chemical, ensuring product longevity and safety of your chemicals. Dont miss out on TTi’s Spring Deals 17′ which offer FREE mounting pins, FREE outlet fitting, and a 25% OFF steel frame when ordered with tank. Visit www.tti.com.au to see the many options made available for you or call 1800 816 277 for more information.